I’m off to the South West for the day today – and am sad to note that it is one of the worst areas in the country when it comes to the provision of NHS-funded fertility treatment. Earlier this week, Somerset became the most recent area to cut IVF fertility treatment and offer just one single cycle of funded IVF. When funding for fertility treatment is cut, the excuse is often that commissioners are only following what the public wants. However, Somerset Clinical Commissioning Group (CCG) have decided to cut fertility funding despite the fact when they carried out a public consultation, most people wanted them to offer three full cycles rather than cutting down to one. 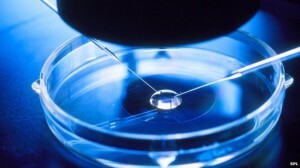 Sarah Norcross, Co-Chair of Fertility Fairness explains: ‘The CCG’s own consultation shows that the majority of people consulted (57 per cent) want three cycles of IVF to be funded and that the majority of those consulted (74 per cent) also said that the number of NHS-funded IVF cycles should not be reduced in order to balance the costs of reducing fertility treatment waiting times from three years to two. We are appalled to see patients and the public ignored and let down by Somerset CCG. So why do Clinical Commissioning Groups so often decide that fertility patients don’t deserve the treatment NICE recommends? Why are so many cutting back? And what can we do to stop it? If your local provision is not good, writing to your MP or local Healthwatch will certainly help – look at the Infertility Network UK website for some template letters to assist with this, and do visit the Fertility Fairness website too for more information about provision across the UK and the campaign to improve it. This entry was posted in Fertility treatment, IVF, NHS funding for fertility treatment and tagged fertility fairness, Fertility funding in SW England, Infertility Network UK, IVF, ivf funding, NHS funding for fertility treatment, Sarah Norcross, Somerset CCG, Susan Seenan by fertilitymatters. Bookmark the permalink.